Jr and I met up with GTK and his son n nephew for a squirrel hunt this afternoon. Right out of the gate it was on!!! Ole'Pete put on a clinic in the squirrel woods. 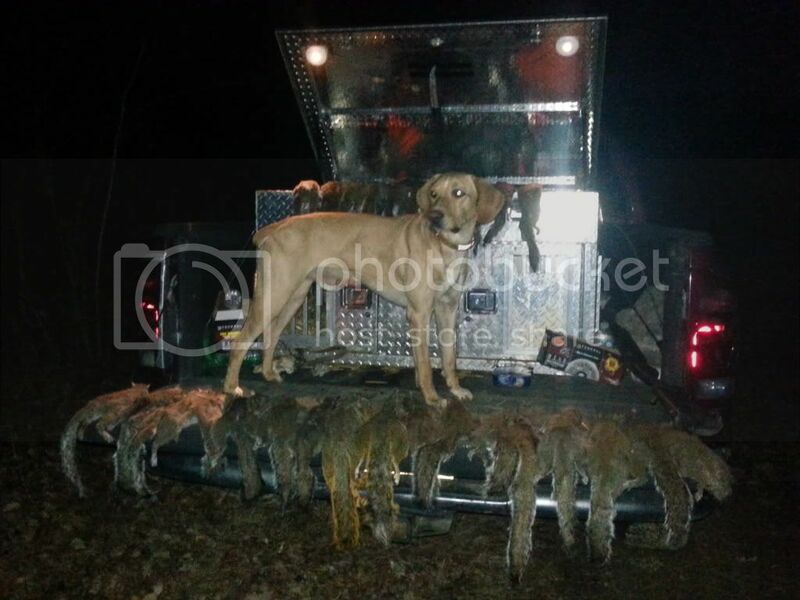 This is by far Pete's best hunt as far as numbers go. He put up 27 squirrels Solo!! GTK, thanks for the invite we sure nuff had a great hunt! They sure did. I was watching squirrels yesterday morning from my observation deck while drinking coffee. They were every where.! I am stove-up today. . The wife was laughing at me this am because I could hardly walk.. Petey put some miles on us yesterday ! I still wonder what happened to JR in his lifetime, for him to dislike squirrels so much.. That son of yours is a squirrel killing machine ! Glad you guys had a great time. We sure used up some shells! Yeah jr has slung enough lead these past years that he has masterd the art of killing them squirrels.. I'm sure there were a few that had the potential but we chose to keep it to our selves due to the location of the hunt. But really we just didn't want to hear the politics..
sure wish I had a mess of them tree rats fried right now I sure do love to eat them! I'm going to fry dove breast and rabbit tomorrow evening now that Y'all got me thinking about it. Now that's just not fair! Petey is a machine! I would bet someone needs some more bullets. gabylis wrote: He put up 27 squirrels Solo!! GTK, thanks for the invite we sure nuff had a great hunt! I am already looking forward to next years hunt!! Jr is working on a nice prospect and should be really nice for next year..